Apple has removed HMVs new iOS app from the App Store after it refused to comply with a request to remove the contested MP3 download feature. The music store's new app was launched on October 17 and was especially noteworthy as it was the only portal since iTunes to offer music downloads on Apple's own iOS devices from within the app. However, it soon became apparent that this was not a move deliberately sanctioned by Apple, but a rare oversight from the company's notoriously exhaustive application approval team. 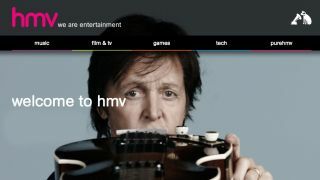 Apple gave HMV until 6pm on Monday night to remove the feature, the store declined to do so, and now, citing a violation of the App Store guidelines, Apple has temporarily suspended the app. "It is disappointing that Apple has chosen to suspend an app that has proven to be very successful in only a few short days despite Apple having already approved the exact same version on 15th September," said HMV chairman Paul McGowen, who said Apple got the hump after the app passed 5,000 downloads. "We are unable to explain the change in Apple's position as we have been given no explanation by them as to any difference they view between the approved version and the one suspended this evening." HMV said it was working to restore the app to an acceptable state, while Apple confirmed to the Guardian it had suspended the app under clause 11.13 of the App Store guidelines.